Stephen Paul Warrington has been charged with the murder of Jillian Christine Kusznir. 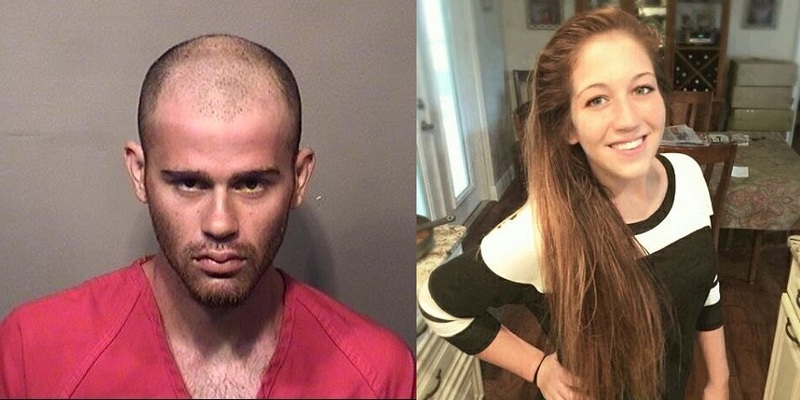 PALM BAY, Florida - Palm Bay police have made an arrest in the death of 22-year-old Jillian Christine Kusznir whose body was discovered in the trunk of a car on Tuesday. 25-year-old Stephen Paul Warrington was arrested Thursday night and charged with the murder of Kusznir. Warrington lived with this mother on Van Loon Avenue which is located just one block away from where Kusznir's body was found. Police believe that Kusznir was killed inside Warrington's home. A woman's body that was discovered in the trunk of a car by a construction worker on Tuesday morning near the intersection of Vienna Street NE and Norman Street NE in Palm Bay, Florida has been identified as 22-year-old Jillian Christine Kusznir of Palm Bay, Florida. An autopsy by the Brevard County Medical Examiner has been scheduled while Palm Bay Police continue their investigation into the death. Kusznir's friends have started the hashtag ‪#‎JusticeForJillian‬ on Facebook upon learning the news of her death. Kusznir was a witness to a 2013 home invasion in Palm Bay where two men were shot and killed. According to investigators,Kusznir went to the home on Thuringer Street NW to see Stephen Wright. Sean Pino and Dylan Kane accompanied her but stayed outside the residence. There were four people in the home when Kusznir arrived. Pino and Kane accompanied her but stayed outside the residence. There were four people in the home when Kusznir arrived. As Kusznir left the home, there was a verbal confrontation outside between Pino, Kane and one of the occupants of the home, identified as Alex Souza. Souza and Wright did not know the two men, police say. During the argument, Pino and Kane forced their way into the home and started a physical fight with Souza, witnesses told police. Wright, who was inside the home and witnessed the fight, retrieved a firearm and confronted the two men who allegedly continued towards him in an aggressive manner. At that time, Wright fired four rounds striking and killing both men. The shooting was later deemed justified by the State Attorney's Office for the 18th Judicial Circuit of Florida.